SIMA is taking place from 24 to 28 February 2019. The show’s director Martine Degremont will hand over to Isabelle Alfano at an edition that promises to impress. What will be the main changes and highlights at SIMA 2019? For several years now, our aim has been to showcase the diversity of agriculture. The 2019 edition will mark the culmination of this work, with a show that proudly represents all agricultural activities throughout Europe and the world. SIMA is the only show to meet all the needs of farmers and breeders, whatever they’re producing and whatever the size of their operation. We’re making the show more representative by increasing the number of exhibitors, including from new countries such as Israel and Sri Lanka, and by adding new themes to anticipate future challenges. We’ll therefore be putting the spotlight on both precision and digital agriculture. For the very first time, we’re creating an Innovation village. There will be two start-up villages – that’s one more than in 2017. We’re organising organic farming, agronomy and livestock events. Also new this year will be a two-day hackathon: about a hundred professionals will explore digital agriculture solutions that incorporate satellite data. And because the agriculture sector is such a friendly community, we’ll be hosting a party night, with a thousand guests on the Monday evening after day 1 of the show. Promosalons office representatives are, of course, invited to attend along with their VIPs. SIMA has a truly global perspective. How do you nurture this international ethos? Agriculture and food are global concerns. So we’re understandably aware of the show’s international importance. Over the last few years, we’ve stepped up our activities particularly in Eastern Europe, Africa and Latin America. All the show highlights have an international dimension. We also design events that focus on specific regions, like the SIMA African Summit, dedicated to promoting automation in Africa, and the SIMA Dealers’ Day, dedicated to global agricultural distribution, both of which started successfully in 2017. 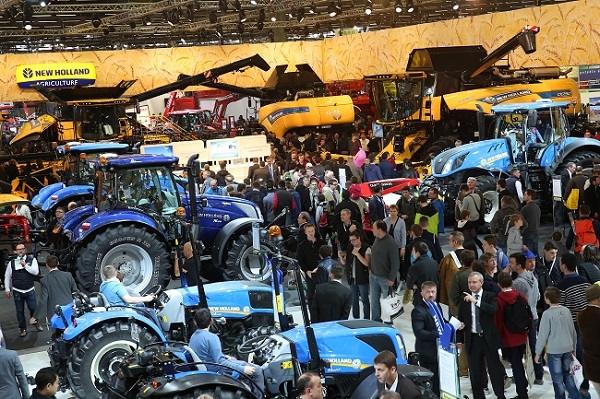 Holding a show in Paris is a must in terms of promotion, because France is Europe’s leading market for agriculture. French agriculture is diverse and perceived as first-rate around the world. In our international promotional activities we can build on this advantage by allocating the necessary resources in the form of two members of staff to provide content and answer any Promosalons team’s questions. Promosalons promotes SIMA in 38 countries. How do you benefit from this long-standing partnership? Promosalons helps us get to know markets, approach market players and entice them to Paris. For us, this network is essential. That’s why we remain committed and are gradually adding new countries as and when markets open up. Together, we form a loyal agricultural community, a community that is constantly evolving. The local offices generate a steady stream of innovative projects. For example, a group of young Italian farmers, who came up with the concept of lobbying dinners, are in the process of organising their very first event outside Italy. And, thanks to Promosalons, this event will be held at SIMA! During my thirteen years as show director, I’ve been committed to sharing my passion for agriculture with the Promosalons teams, and I have many stories to cherish, along with unforgettable memories and the legacy of close relationships built on trust. I think I was SIMA! All around the world, our teams live and breathe SIMA. They are our ambassadors in the truest sense of the word.